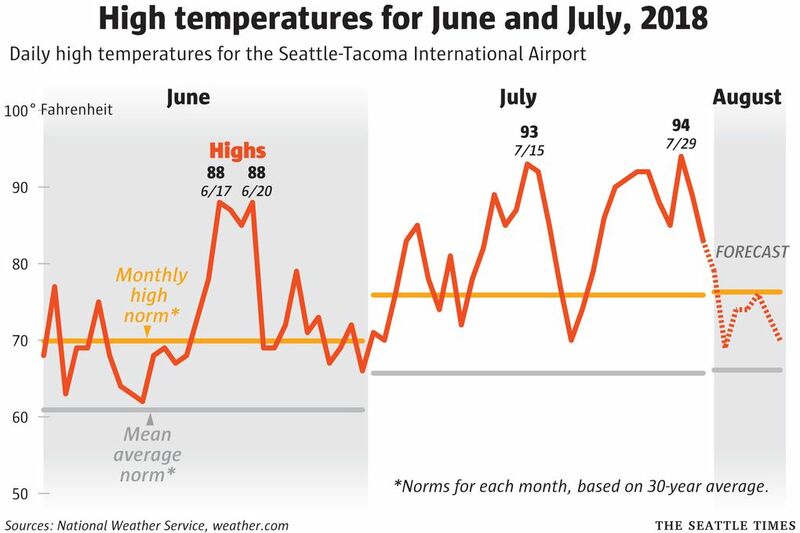 While temperatures may warm up again later in August, they won't feel as hot as they did this month because days will get shorter and sunlight will hit Earth at a lower angle, according to the National Weather Service in Seattle. The heat wave that made this month one of the hottest Julys on record in the Puget Sound region is done and unlikely to return this year, according to the National Weather Service in Seattle. Temperatures are dropping significantly on Tuesday, marking the end of three-month stretch that started in May and was the driest and one of the hottest on record. While temperatures may warm up again later in August, they won’t feel as hot as they did this month because the days will get shorter and sunlight will hit Earth at a lower angle, Haner said. 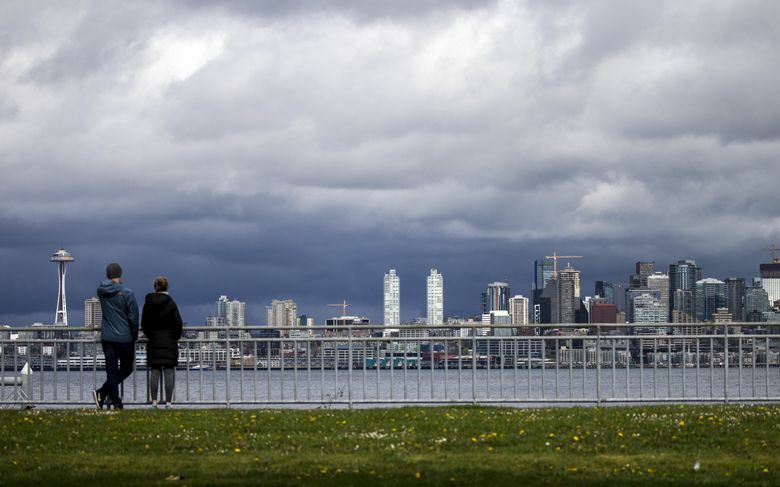 The high temperature on Wednesday is expected to reach 78 degrees at SeaTac International Airport, about 15 degrees cooler than the high reached on Sunday. On Thursday, cool, murky marine clouds will move into the region, dropping the high temperature to 67 degrees with the possibility of some very light showers. The last week of July and first few days of August are historically the warmest of the year, according to Haner. In both 2016 and 2017, the weather service recorded a half dozen days in August that reached 90 degrees or more, according to meteorologist Art Gaebel. But Haner said a hot day in August “doesn’t have the same punch” as one in July. On Friday, the high temperature is expected to creep back up to around 71 degrees; the weekend highs are expected to be around 73 degrees on Saturday and 75 degrees on Sunday. Because it’s Seafair weekend in Seattle, Haner said it will be interesting to see whether the Blue Angels are able to perform their show higher in the sky or whether cloud cover will force them to do their lower show. “They have different ones they do depending on how high the cloud ceiling is,” Haner said.